(Courtesy of Glen Erickson, Hockey’s Future) — If there is any truth to the notion that you can take a man out of a town but you can’t take the town out of the man, Ryan Pulock might soon become a poster-boy of sorts for that axiom. It seems inconceivable that the 19-year-old will ever be able to forget his Manitoba roots. Born in Dauphin, but raised 30 minutes away in Grandview, Pulock is carving out a hockey career path that will soon take him far away from those friendly and familiar Manitoba confines. Now in his fourth season with the Brandon Wheat Kings, the WHL team that laces up the blades just a couple hours from his childhood home, Pulock signed a NHL entry-level contract on September 29th with the New York Islanders. 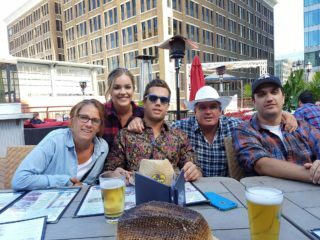 Pulock, who says he now goes about 6’1 and about 205 pounds, was candid when asked if he was surprised when the Islanders made him their first round pick, 15th overall, at the 2013 NHL Draft. Pulock played much of his minor hockey in rural Manitoba, where one of the realities is plenty of road work. He was part of the Parkland Rangers program that iced teams consisting of players from smaller centers in the province such as Dauphin, Grandview, Swan River and Russell. “Yeah, that’s probably fair to say,” Pulock said when asked if there was ever a time during his minor hockey days where he thought he might suit up in Dauphin for the Kings of the Manitoba Junior Hockey League. 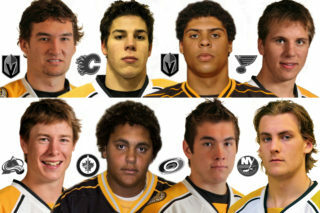 At the 2009 WHL Bantam Draft, Pulock was selected in the seventh round, 136th overall, by the Wheat Kings. In fact, he was drafted as a forward. Coincidentally, after Pulock had been chosen by the Wheat Kings, it was Dauphin and the Kings that hosted the 2010 RBC Cup, Canada’s Junior A national championship which was played just weeks ahead of Brandon hosting the 2010 Memorial Cup tournament. To that end, things certainly have changed. Pulock was not prepared to sweat the small stuff when he made his way to Brandon, suggesting it didn’t necessarily bother him to be taken in the later rounds by the Wheaties. In fact, he arrived with little need for any additional motivation. “I think it should be a motivator,” Pulock said. “I really wasn’t too sure where I was going to go (in the WHL Bantam Draft). I think it’s hard to pick players at that age because it really seems like guys can change a lot through the years. 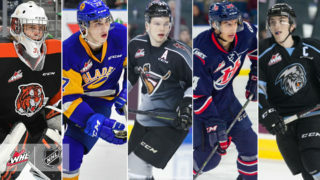 What Pulock has done to date in the WHL is establish himself as just one in a long line of defensemen who have developed elite level skills while in Brandon. 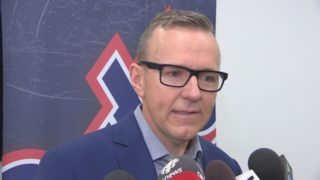 Consider the likes of the late Brad McCrimmon, Gord Lane, Bryan McCabe, Wade Redden, Keith Aulie and Brodie Melnychuk. More recently, there is current Islanders regular Travis Hamonic, who played briefly in Brandon when he was acquired by the Wheaties for their Memorial Cup run in 2010. “I can’t thank them enough,” Pulock said of general manager Kelly McCrimmon and the Wheat Kings. “This is a great organization and they have looked after me since Day One, really helping on and off the ice. Brandon is a fun place to play and Kelly has been a great coach and a big part of my development. For guys in the future too, they have to know this is a great place to play. I got really lucky. Pulock also confirmed that he has enjoyed being involved in the community during his time in Brandon. Along with University of Brandon athletics, the Wheaties are a significant part of the sporting community. Brandon is the WHL’s easternmost outpost, which means the Wheaties spend a fair bit of time traveling across Canada’s Prairie Provinces. While it may seem daunting to those looking in from the outside, Pulock is appreciative of how the organization addresses the needs of the players. “Yeh, for sure, we spend a lot of time on the bus,” Pulock said. “A day trip to Swift Current is almost seven hours. It sounds awful, but once you’re playing here, you get used to it. During his rookie season, Pulock served notice that he had brought with him some offensive skills, producing 42 points in 63 WHL regular season games before adding six points in six playoff games. In his second year, he collected 60 points in 71 games with a whopping +33 rating before adding five points in nine post-season tilts. As his ability to create havoc from the blueline in the attacking zone became a consistent issue for opponents to be aware of, Pulock also began to unleash with regularity one of the heaviest shots in the league. While accuracy is crucial, the ability to get pucks through to the net is also vital. Pulock recognizes how the velocity of his shot can create scoring chances. Last season, in his draft year, Pulock battled the injury bug and played at times while protecting a wrist ailment. He scored 14 times and added 31 assists in 61 games. This year, he is scoring at nearly a point-per-game pace with 10 goals and 17 assists in 30 games. Of note statistically, in 240 WHL games through December 14th, Pulock has proven to be a tremendously disciplined rearguard, spending a grand total of 58 minutes in the sin bin. Indeed, Pulock knows he is of far more value to the Wheaties when he is on the ice. When Pulock finishes his junior career, he will look back fondly on his days in Brandon. He arrived as a 16-year-old, along with fellow defenseman Eric Roy (CGY), and knows he is leaving behind a blueline brigade that looks solid with the foreseeable future in mind. At the 2013 WHL Bantam Draft, which was highlighted by the introduction of a pair of Albert-based high-octane forwards in Tyler Benson and Sam Steel, the Wheat Kings chose fourth overall and acquired the top scoring defenseman available in Kale Clague from Lloydminster, a rearguard who broke Dion Phaneuf’s long-standing points record in the Alberta Major Bantam League. Although it seems unlikely, a deep playoff run with Brandon could help Pulock get very close to reaching a career mark of 300 WHL games. However, in recent years, the Wheaties have not been shy about moving veteran players at the trade deadline, for example, Brayden Schenn and Michael Ferland. Should Pulock complete his career in Brandon or find himself moved to a contender, he agrees that his time in the WHL has passed quickly. “It doesn’t feel like long ago that I played my first game here,” Pulock said. “And now I’m possibly in my last year, if not one more year left. It’s pretty amazing how fast it goes. I think the big thing with that is how much fun it is with the guys, at the rink and away from the rink.